Hi House of Hepworths readers! I’m Jena from Involving Color, and I’m so excited to be guest posting here today. 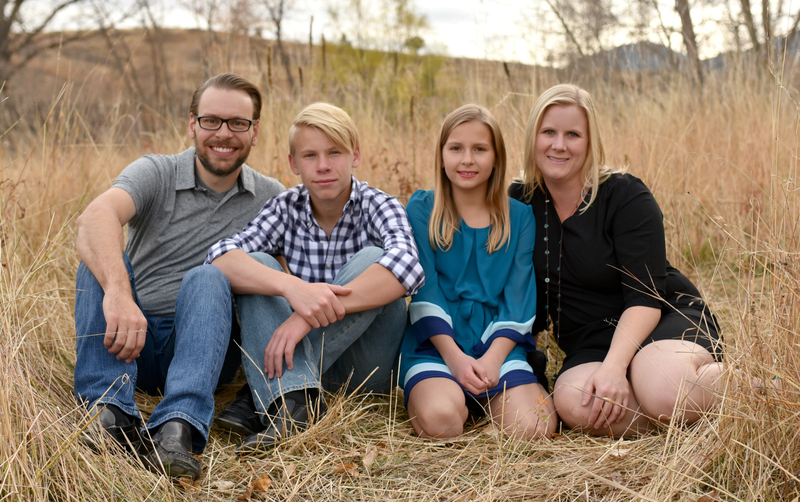 My blog is about our home renovation journey as we have been transforming the entire inside and outside of our home. 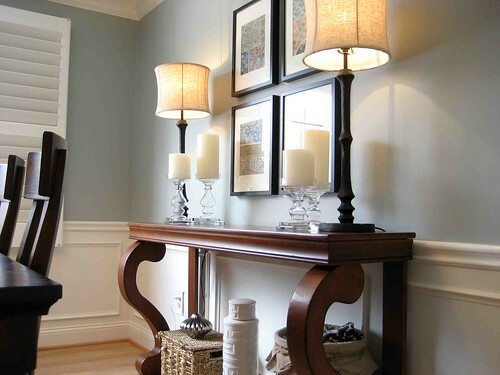 In addition, we also have easy to browse inspiration galleries with LOTS of reader submitted rooms where you can browse by paint color or room. 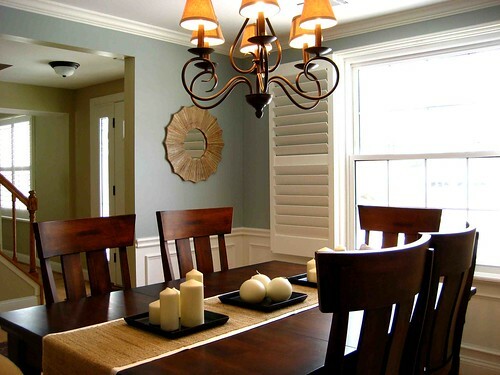 Our dining room began as a blank slate with cream colored walls and a simple chair rail. We painted, added crown molding, added faux wainscoting, and had a couple of awesome Craigslist finds for the table and chairs. Our living room was another blank slate with cream colored walls. 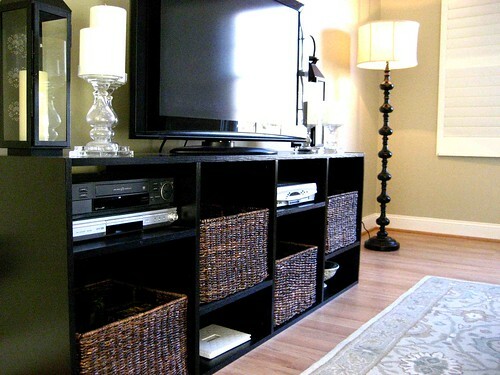 We painted, purchased an Ikea chair and sofa, and spruced up our media cabinet with some baskets and accessories. Our patio was probably the biggest transformation so far. It had a small deck that was in total disrepair and the yard was a mosquito infested swamp that needed a ton of cleaning up. We removed a few trees, took out all of the old plants, and ripped out the deck. We replaced it with a flagstone patio and purchased new patio furniture. It went from being one of the worst parts of the house to one of our favorites. Please stop by to check out some of our other renovations, and thanks so much, Allison, for having me today! Just found your blog from Before and After. Love everything I see and I have a lot more looking to do. I think we may be long, lost sisters. 😉 No blog for me yet but I am working on it.